The Nigerian company First Index Project and Services Ltd., operating as a public sector supplier, has placed an order for a Konecranes Gottwald Model 2 mobile harbor crane for the National Inland Waterways Authority (NIWA). The main components will be shipped to Lagos and transported by land to Baro, situated 650 km inland on the River Niger. 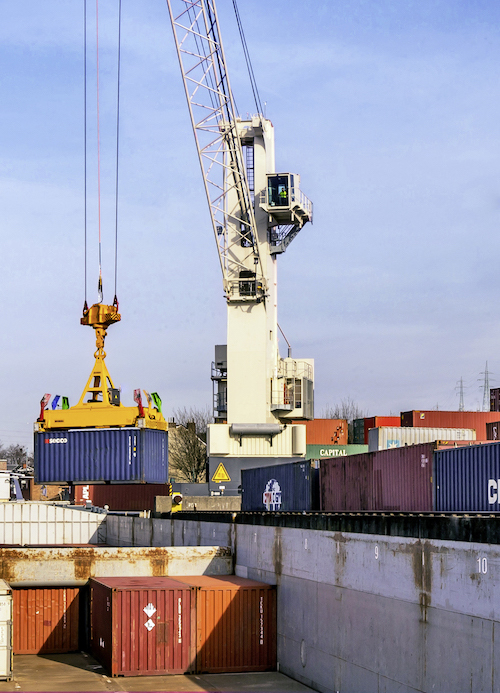 The crane will mainly handle containers as well as various common goods. “The Port of Baro is vital for Nigeria’s economy. In Baro, freight that arrives on the Niger River from the Atlantic is forwarded inland by train and road, and vice versa. To ensure productive and reliable cargo handling at this hub, we have opted for the first time for a Konecranes Gottwald Mobile Harbor Crane. The versatile Model 2 crane is the perfect choice for our terminal, where highly efficient operation is required,” says Boss Mustpha, former Managing Director of NIWA. The diesel-electric Model 2 two-rope crane has a maximum lifting capacity of 80 tons and an outreach of up to 40 m.